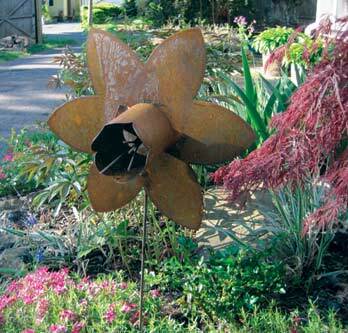 This Daffodil (17"w x 17"H) Garden Stake will become a garden favorite. A pleasing way to add some color and fun to your garden decor. This Daffodil Garden Stake will become a garden favorite. A pleasing way to add some color and fun to your garden decor..